The D-word became a topic of debate on Thursday at the Berlin International Film Festival, where jury president Meryl Streep commented on the seven-member jury panel being all white. 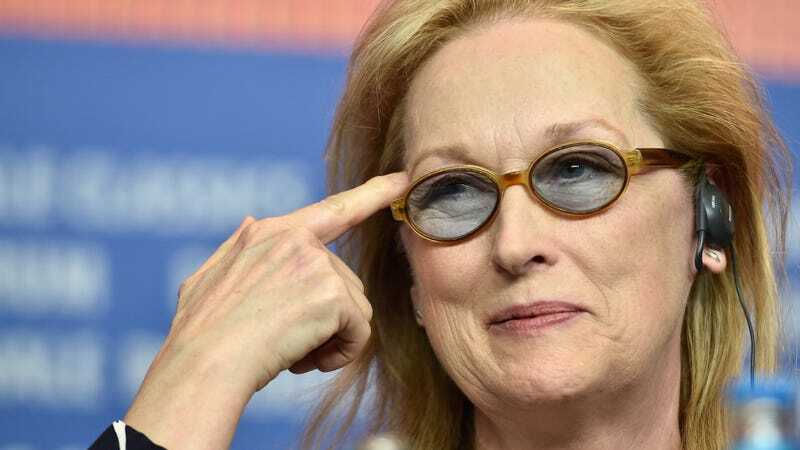 She also said, “I have no idea how to run a jury.” Of all the Oscars/Hollywood diversity takes so far, Streep’s may be the most straightforward and existentially sound, as well as the strangest—the perfect combo. Thus completing what is so far the most perfectly odd response in this ongoing trending topic. Meryl Streep’s “We’re all Africans, really” comment was a direct response to a question about Arab and African films, not a response to questions about the Berlinale Film Festival’s all white jury, as the article and headline originally suggested. A recording of the panel shows that Streep’s original comments were misrepresented in subsequent reports.